This movie had it all drama, comedy, and a love story. Paul Newman, a young Robert Redford, and Katharine Ross were all outstanding in this movie. I was still in high school when this move was released in 1969. Aside from the drama, there was also a love story embedded in this movie as Sundance (Robert Redford) and Katharine Ross were lovers. But the best part of Butch Cassidy and the Sundance Kid ﻿﻿for me was the comedy; Newman and Redford were a perfect fit for their roles in this movie. Their personalities seemed to compliment each other with their quick wit and humor. I've watched this movie several times and every time I laughed a little more. One scene is when they made their second train robbery of the Union Pacific Railroad and Butch used too much dynamite to blow up the safe, thus blowing up the luggage car along with the money. This is when the head of the railroad hired a famous Indian tracker, known for his white brim hat to work with the Pinkerton Detective Agency their mission was to track Butch and Sundance until they were dead. They couldn't seem to escape the trackers, as every time they thought they shook them they would see that white hat over the horizon. Leading to another great line in the movie, Butch would look at Sundance and say "Who are those guys". One of the funniest parts of the movie is when Butch and Sundance are trapped on the edge of a cliff. Sundance wants to stay and shoot it out with the pose, and Butch wants to jump. Take a minute to watch this scene in the video below; as they banter back and forth, you'll see why it's so funny. This was my favorite scene in the movie. 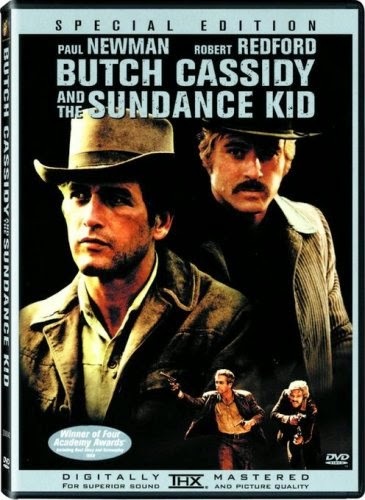 If you like westerns and comedy you'll like Butch Cassidy and the Sundance Kid. Have you seen this movie? I'd love to know your take on this classic, feel free to leave a comment. The movie was based on the the outlaws known as the Hole in the Wall Gang. Harry Longabaugh (The Sundance Kid), Robert Leroy Parker (Butch Cassidy), Ben Killpatrick (The Tall Texan), Harry Logan (Kid Curry), and Will Carver who I can't find an alias for. 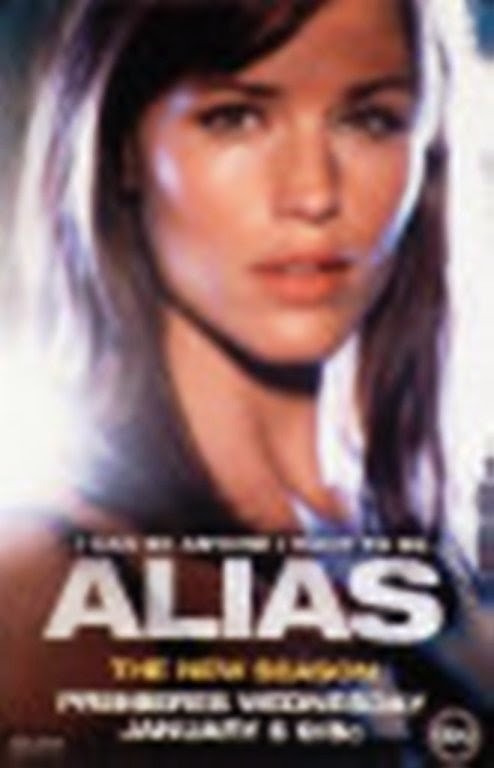 Alias aired on ABC form 2001 to 2006. If you have never seen this series and like a lot of action, drama, and a thriller, with a bit of science fiction mixed in. This series is one that's great for those cold winter days to just curl up and watch, and once that you start to watch you won't be able to stop. I got interested in Alias when it first aired and never missed an episode. This show always kept me guessing as to whom you could trust and who was betraying who. At times I would be confused about a characters motive, and would ask my wife questions. She would always answer, "I'm watching the same show that you are, pay attention". The show centers on Sidney Bristow, played by Jenifer Garner, who was recruited into the SD-6. Sidney's father also works for SD-6. Sidney believes that the SD-6 is an elite division of the CIA. As Sydney is forced to hide her career from her family and friends she soon finds out that the SD-6 is really an international criminal organization called Alliance of Twelve. Sydney then become a double agent working for the CIA and finds out her father Jack Bristow played by Victor Garber is also a double agent working for the CIA to bring down the Alliance of Twelve. The series has many twists and turns in the plot and kept me guessing as to what will happen next. Many times on the edge of my seat, as every character in the show some how got involved in the spy game. If you've been smoking cigars for a while, then this advice will not be new to you. Please read on and if you happen to disagree with my advice or you have something more to add, please feel free to let me know in the comment section below. Now that you have your premium hand made cigar in hand, what do you do? Well the first thing to is is take a look at your new found pleasure. At this point there is no need to remove the cigar band. Removing the cigar band at this point may damage wrapper, if you insist on removing it wait until the heat of the cigar loosens the glue. There are several tools to choose from to cut your cigar. The "guillotine" this will make a straight line cut across the head. The "V cut" will cut a wedge into the head, and the "pierce" this will punch a hole into the center of the head. My choice and my favorite is the guillotine, as it never fails me. I've used all of the tools to cut my cigars and always come back to my guillotine cutter. Now that's just my preference, you may very well like one of the other methods better. 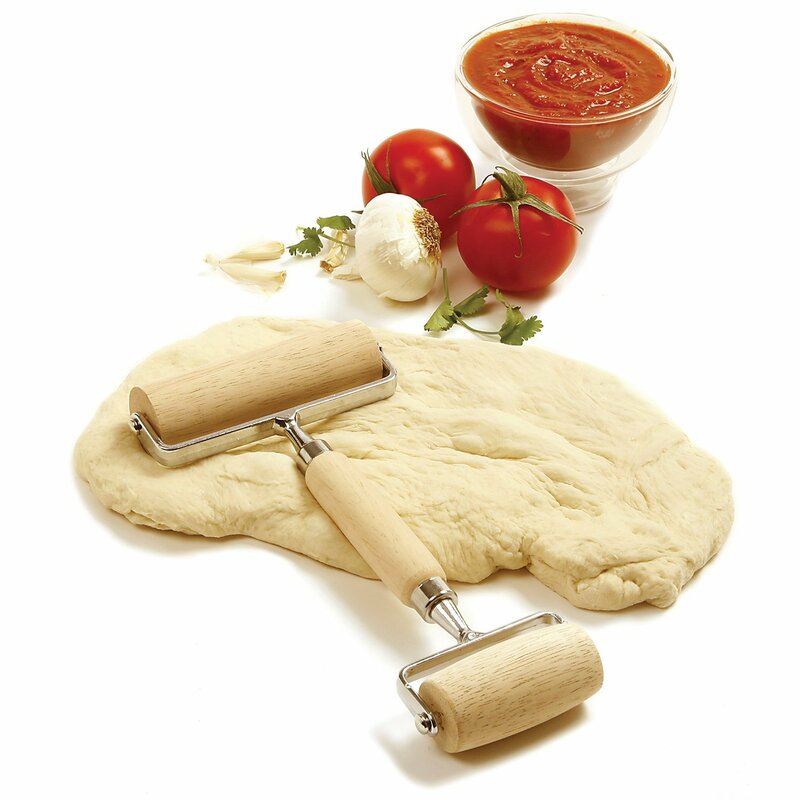 Now that you have chosen your cutting tool, take note at where the cap meets the wrapper. Do not cut past this point as you will cut into the wrapper and this may cause your beauty to unravel. This is where size matters, if the cut is too big it will result in excess smoke and heat and will cause a bitter taste, and your cigar will smoke too fast. A cut too small and your cigar will be too hard to draw on, and the taste will be ruined by an excess of tar and nicotine. 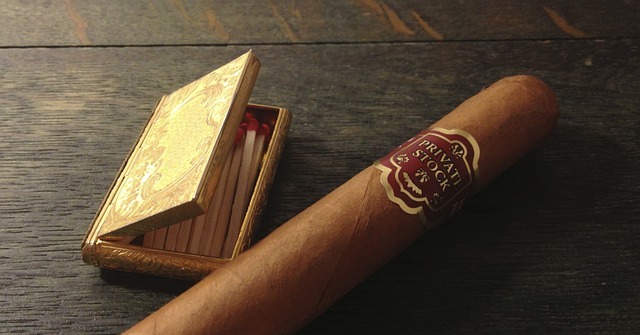 The perfect cut will be just smaller than the diameter of the cigar. This will enhance your experience and smoking pleasure. Now the way you light your cigar will determine how it will burn and taste. Too much flame will cause the foot to burn and turn black and cause the cigar to have a bitter taste. The flame should never touch the cigar, as a matter of fact don't even put the cigar in your mouth yet. Hold the cigar in your hand about 1/4" away for the flame turning the cigar so the heat is toasting the edge of the foot. You gently begin to draw when you see the smoke rising for the edge of the wrapper on the foot. Now continue to gently draw as you turn the cigar to make sure you have an even burn.